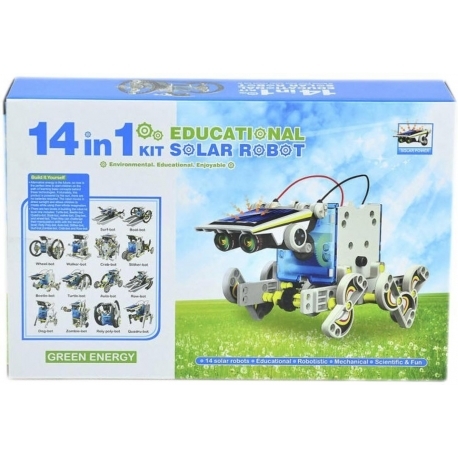 14-in-1 Solar Robot Kit is powered by sunlight and can be transformed into 14 different robot models which include a multitude of comical and functional movements. Fortunately, this product is powered by the sun, so there are no batteries required. 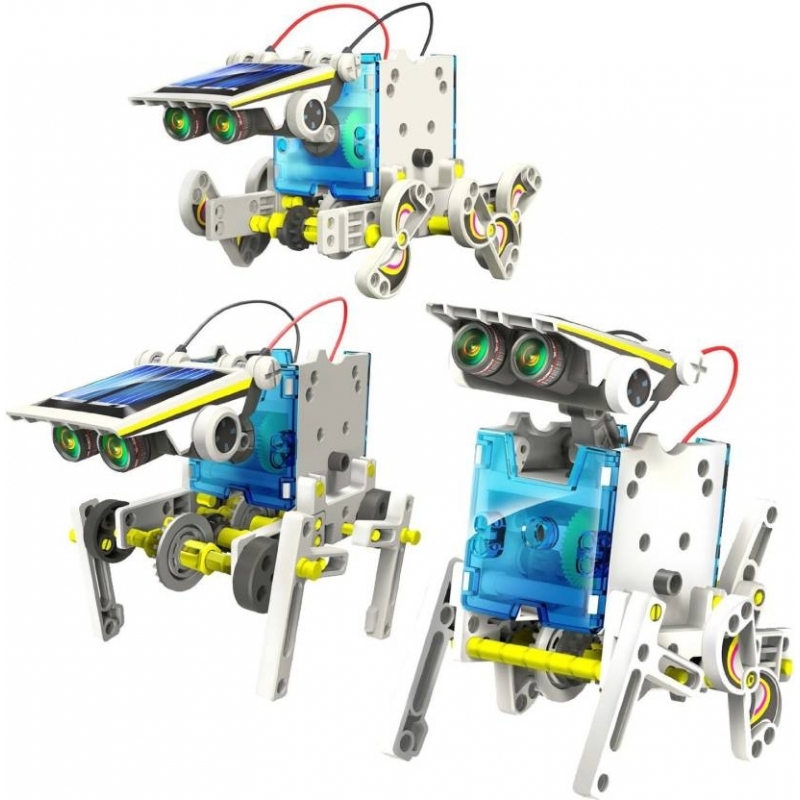 The robot moves in the direct sunlight and allows children to create and use their infinite imagination. 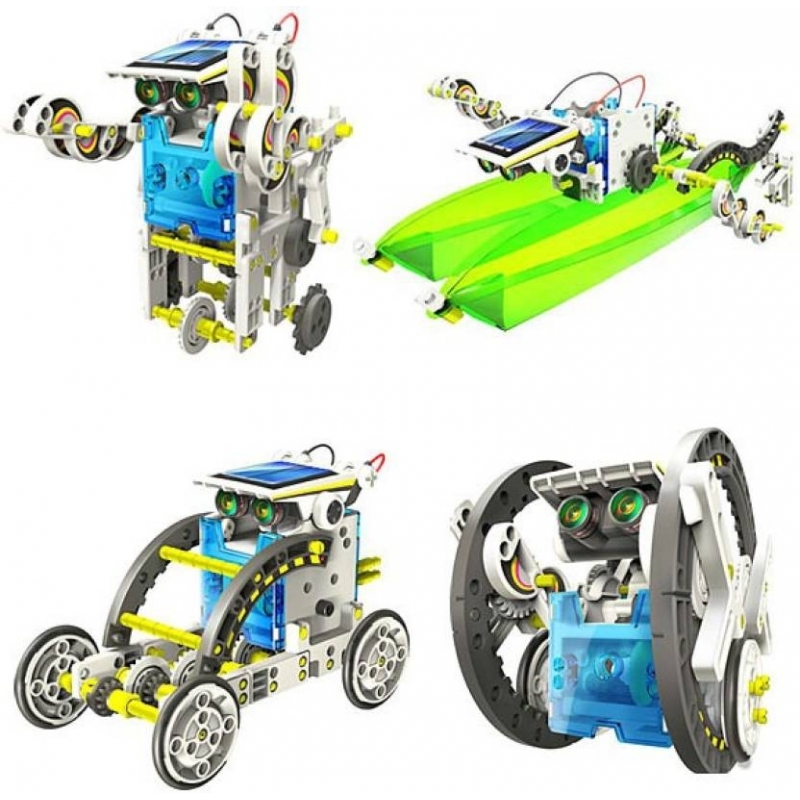 Each 14-in-1 Solar Robot Kit is loaded with little parts which you sort into the provided (and labeled) baggies (for easy retrieval while building). Then, you build the drive box and "head" of the robot (the bit with the solar cell). It's around this drive box you will attach all sorts of parts to make one of 14 different solar powered robots. Some walk on land, some slither on land, and others paddle like mad across water. 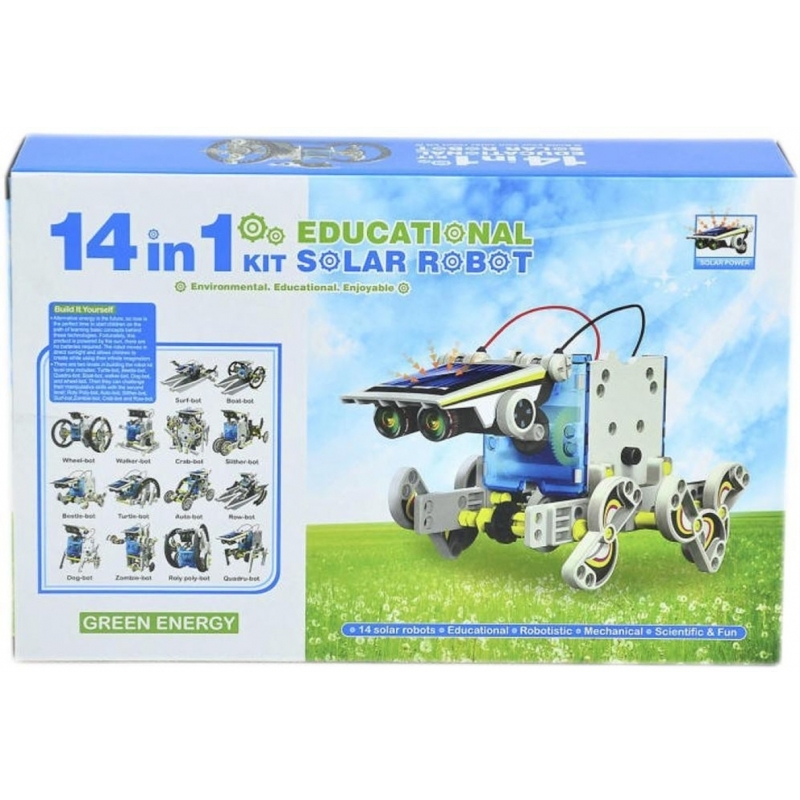 The 14-in-1 Solar Robot Kit is fun, educational, and will help you use the sun to do more than just make vitamin D and melt snowmen. Please Note: Before building anything, you'll need to separate most of the parts from plastic sprues and file them into marked bags (this kit has an awesome sorting system). Just plan that your first construction will take a little longer because of this preparatory step. 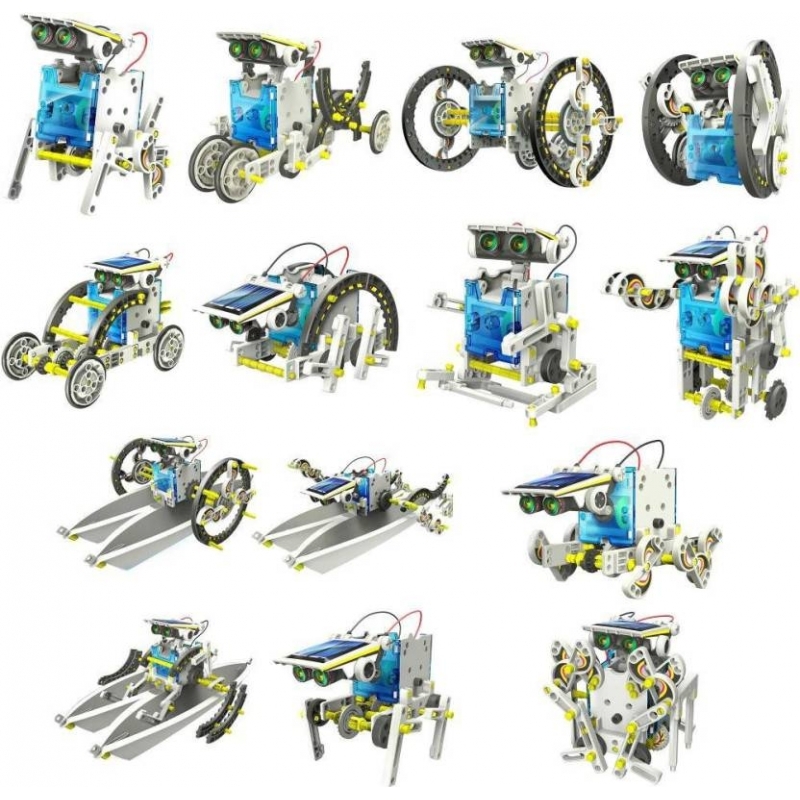 All the parts you need to build 14 different (one at a time) solar powered robots! Build land bots and water bots. All parts snap together - no tools needed!